Today for my little tut for copic week is about getting texture in your coloring using your colorless blender, pen or solution. For my examples I added texture to Sweet Thinkin Mae’s dress using stamps and fabric and blender solution for the texture. 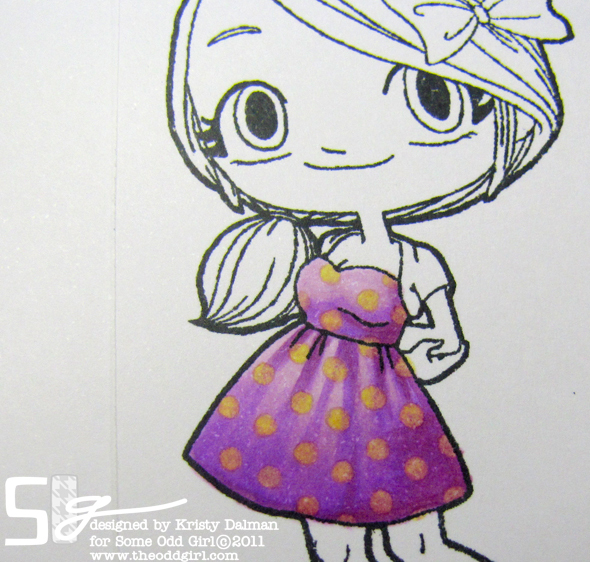 I colored her dress like I normally would then I picked out a fabric with a definite weave/texture. Dabbing on my blender solution onto the fabric (I used a wash cloth and a woven mitten) from the bottle as evenly as possible then pressed in to the colored area. 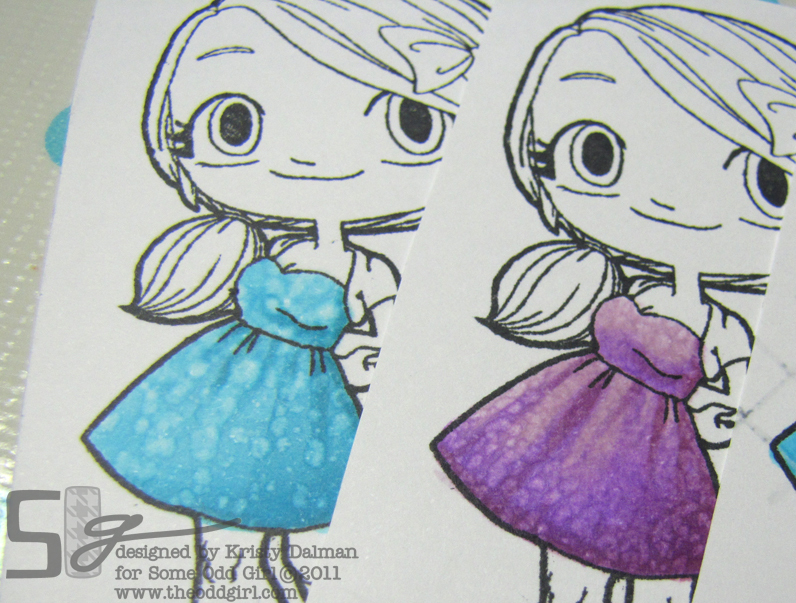 If you want a softer feel to your texture then do this right after coloring, while the ink is still wet. If you want a crisper pattern then wait until your coloring is dry. 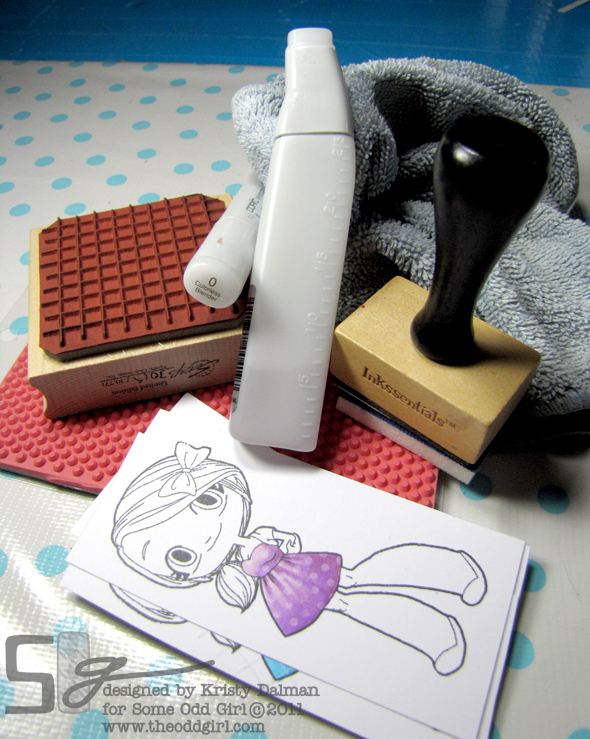 Another fun way to add texture and even pattern to your coloring is by using a rubber stamp. You will want to use a clean sponge (or if its a small area your marker) to apply the blender to your stamp, I just used my Ranger Foam pad with the handle. You want to use the sponge to apply it to the stamp (also make sure your stamp is clean) so it is damp but not wet and runny. Then just stamp and press like you were applying color! 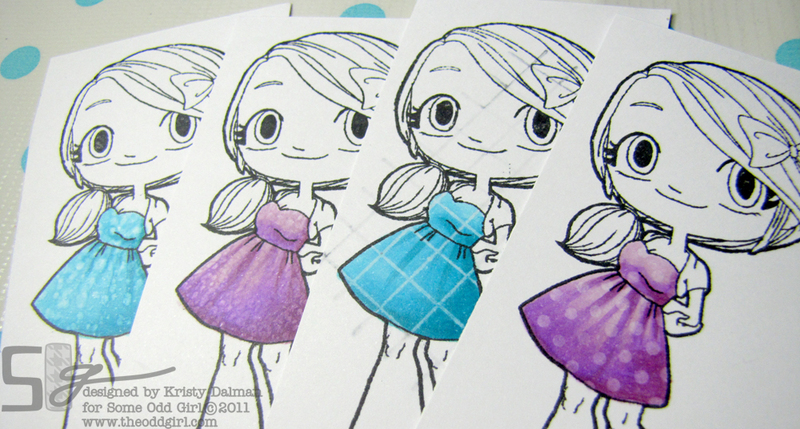 You can see on my blue example that I really did think my stamp was clean… but it wasn’t lol. 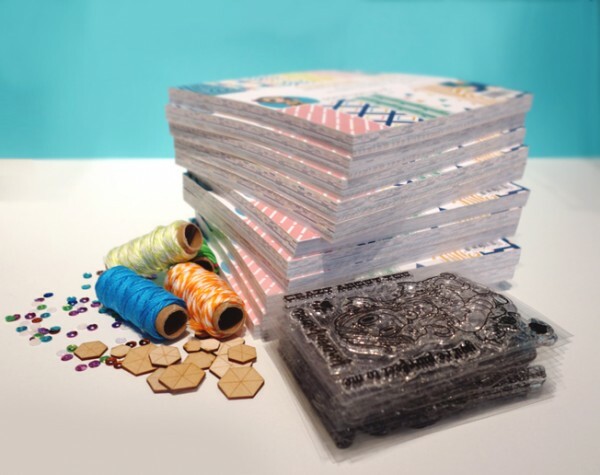 It would still make a cute paper pieced dress 🙂 Using this technique can add life to those gaudy pattern stamps you were wondering what to do with (that I wish I had some now!) . You can also use the marker to add textures like brick, polka dot, stripes and pretty much whatever you can come up with! Another fun thing to do would be to go back after your texturizing is done and add color to where your blender has pushed the original color away. Now Mae has a cute lil summer dress 🙂 Think of that technique with a flower pattern! CUTE! I love it Kristy. 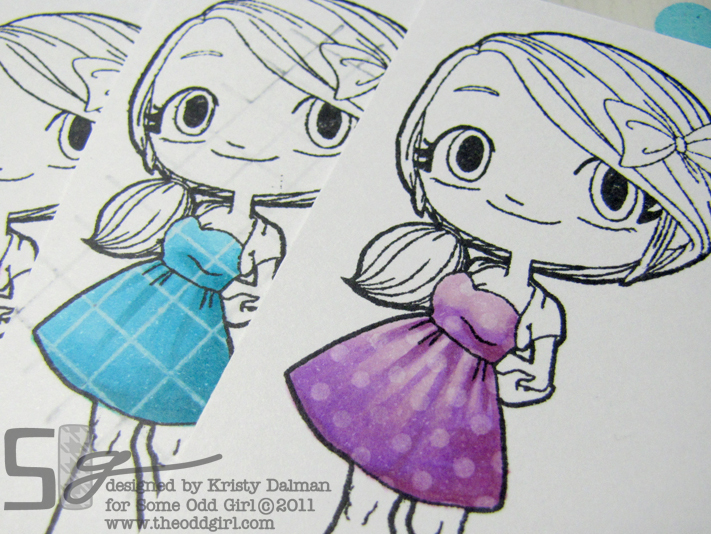 Remember the fabric idea from my Copic class, but have never remembered to try it!! Great Tut!! I love this technique – simple yet very effective. I don’t know that I’ve seen anyone do this with a stamp… Very smart!! oh what a fun idea!!!!! that looks great!!! Thanks for the tip! This is awesome! Great ideas! Thanks for sharing! You gals are giving me lots of great ideas!!! I am curious on the “how to keep all ideas in one place!” But more over interested in how some gals store their copics (or other markers) I have about 80 thrown into my drawer and I may go insane if I have to spend 5 minutes looking for the right blue.  Your tuts are so user friendly! Indeed helped! I love the insert and I know I will be looking into a place for that in my room! I do not “carry and craft” yet so a stationary item will work best for me right now. Thank you for taking time to respond and help me out! Great idea. I would never would have thought to use the blender with my stamps to create the patterns like that. TFS! Fun tips! Happy Birthday Kristy!!! Enjoy!!! What a fun idea! I am just starting to learn how to use Copics and all the coloring techniques but I am really learning a lot on your Birthday blog this week! Swoon. SERIOUSLY. I love this idea!!! !Thanks for this awesome tip! Oh yes.. 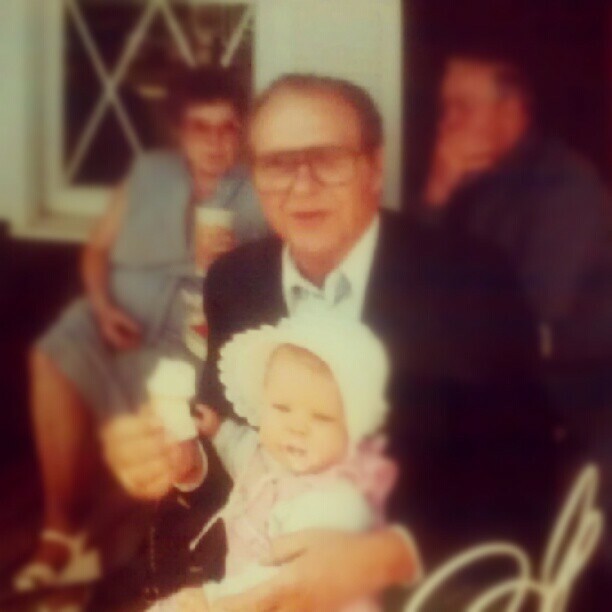 Happy Birthday to youuuuuu. Happy Birthday to youuuu! 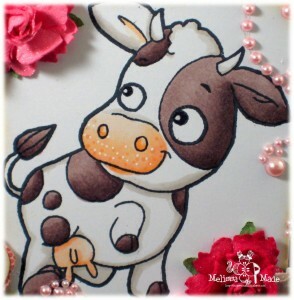 LOVE this tutorial – great ideas for texturing! Thanks for the tips, I love Mae’s wardrobe, love using the colorless blender, you can acheive so much with them, I lOVE all my copics!! This is a great week!! Love finding new ways to use them! Ooh I particularly love the last idea with the coloured dots! Fabulous! Thanks for sharing! I absolutely love the polka dot idea!! I need to try that one ASAP! Awesome!!! I don’t have any blender, but when I do one day I will definitely try this. Really adds something different to stamps!